NASHVILLE, Tenn. — Many of today’s American adults have fond memories of Vacation Bible School (VBS). Memories range from Bible stories and fun songs to flower-shaped cookies and Kool-Aid in Dixie cups. 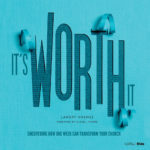 “It’s Worth It”—a new release from LifeWay Kids in partnership with LifeWay Research—shows the positive memories don’t end at cookies and Kool-Aid. Nine in 10 American adults say they have overall positive memories of the summertime mainstay. The study shows 69 percent of American parents would encourage participation in VBS even if they don’t attend church if their child is invited by a friend. Because of this, Holmes says, VBS is not only a tool for discipling the children in our congregations—but an avenue to reach our communities with the gospel. “It’s Worth It” points to research that shows 48 percent of people who attend church aren’t inviting people to come along. And 61 percent haven’t shared the gospel with anyone in the past six months. “People are now more lonely than they’ve ever been,” he says. “We’re in the digital age, but the more connected we are, the more lonely we are. We’re really not in community. And when you draw people into community, you can more easily share the gospel with them. “It’s Worth It” also addresses the impact of VBS on adults as well as children. “One resistance to church as an adult is an expectation of judgment, but church doesn’t feel that way when you’re a child,” says Scott McConnell, executive director for LifeWay Research. Holmes added VBS reaches more than unchurched adults; it’s an effective discipleship tool for the ones who are already engaged with a congregation—and a chance for everyone in a church to invest their time and talents for Kingdom work. “VBS week is really the only time a local church brings multiple generations together for evangelism and discipleship for the sake of the gospel,” he says. And the numbers from the LifeWay Research study and the chapters of “It’s Worth It” say VBS is more than a cherished memory from days gone by—but that it’s here to stay for the foreseeable future.